I don’t know if anyone noticed last time around, but Ence is wearing the Ultimate Rock Outfit from Rock Band 2. 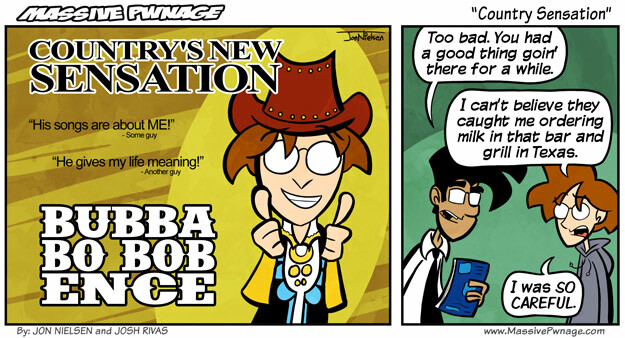 This entry was posted on Monday, April 12th, 2010 at 12:00 am and is filed under Comics. You can follow any responses to this entry through the RSS 2.0 feed. Both comments and pings are currently closed. And my dog drank all my beer. Thank you, I tried. I also attempted to incorporate the dog, another classic country theme.